Hong Kong corporate tax rate is 0% for transactions outside Hong Kong. You won’t have to pay tax to HK for business conducted outside that country. Note that US taxpayers are still subject to US taxes on their worldwide personal income, though. Nevertheless, Hong Kong company can provide a shelter from the 35% US corporate tax rate, one of the highest in the world. As far as I know, Singapore and Hong Kong are the only Asian countries that allow foreigners to own 100% of the company and don’t require locals to be included on the board of directors. Incorporating in Hong Kong is not complicated or expensive. You can use a local firm to set up your company for less than $1,000US in a few weeks. There are services that will provide you with a local address and a phone number for under $50/month. If you need a Hong Kong bank account, normally, you would need to fly over there for a personal visit to the bank. However, there are services that can help you open a bank account without a personal visit. No minimum share capital is required for incorporation. Very good FAQ on the Hong Kong Companies Registry website. Hong Kong is one of the world's most significant financial centres, with the highest Financial Development Index score. World Competitiveness Yearbook consistently ranks Hong Kong as one of the the world's most competitive jurisdictions with the least amount of government interference into private business transactions. Hong Kong, being the financial center of Asia, is highly unlikely to end up on any financial blacklists unlike some other countries popular for offshore incorporation. Hong Kong is not considered a tax heaven, but rather a low tax country with a transparent economic system. Hong Kong maintains a separate legal system from China. It is based on British common law. Hong Kong legal system is well established. This country consistently ranks as one of the least corrupt in Asia, so the law is enforced. Hong Kong is strategically located for business in Asia. It is right next to China and a short flight away from other Asian destinations. 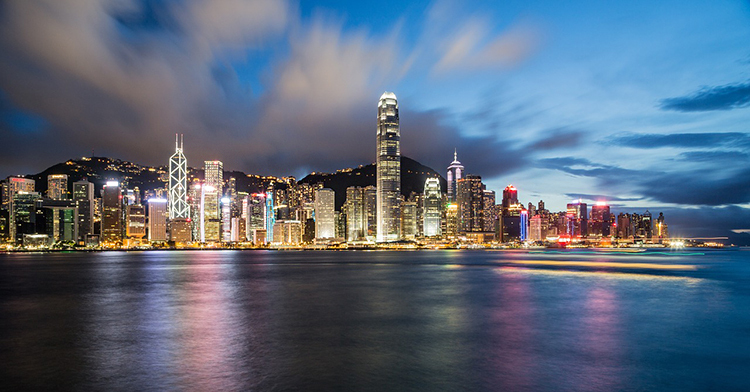 Hong Kong is just one hour's drive away from the Pearl River Delta in China, the world's largest manufacturing region. Southeast Asia is a gorgeous region to visit. Multi currency bank accounts are allowed for foreign-owned Hong Kong companies. HSBC seems like a popular choice for foreign owners of Hong Kong companies.